The first is looking south-east, an Afrikaans high school in Gardens with a bit of Devil’s Peak in the background. 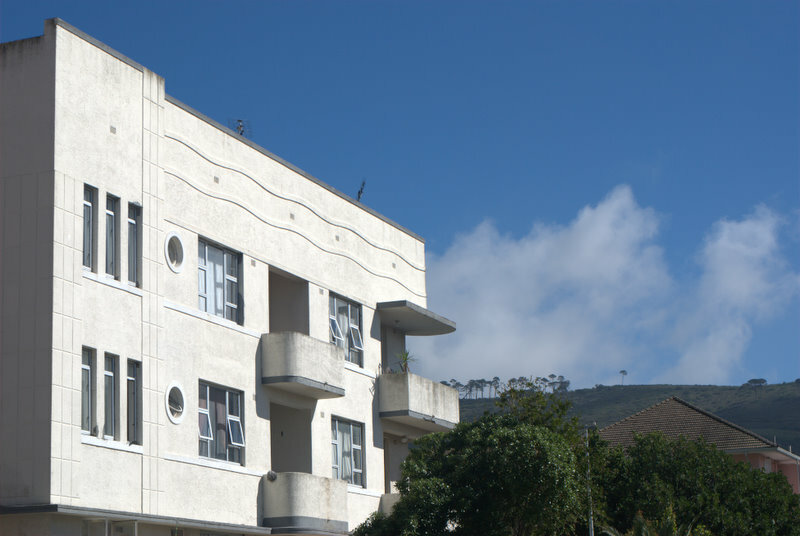 The other is a looking north-west, retro-futuristic building in Oranjezicht with Signal Hill in the background. I’m mostly posting the second because I love the idea of the future from a generation ago–those curved balconies and porthole windows. Sort of reminds you of Luke’s landspeeder in Star Wars, right?